For decades, everything to come out of the Democratic Republic of Congo has not been good: civil war, child soldiers and atrocities against women. The fact that an orchestra managed to exist in the midst of all of this was something remarkable. 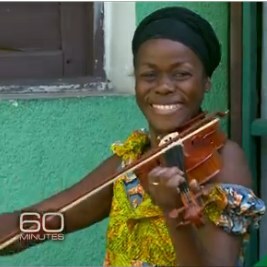 200 musicians in the Congo continue to defy the poverty of their war-torn country playing in a symphony orchestra that makes music to move the hearts of all who hear. In a huge city with a population of ten million, only two members of the orchestra have cars. The musicians come from all over the city and most travel for hours on foot to participate.